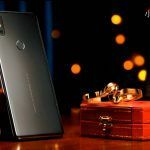 Just a week ahead of the launch of the Mi MIX 3, Xiaomi has released the Global Stable update for the Mi MIX 2S that is based on Android 9 Pie. 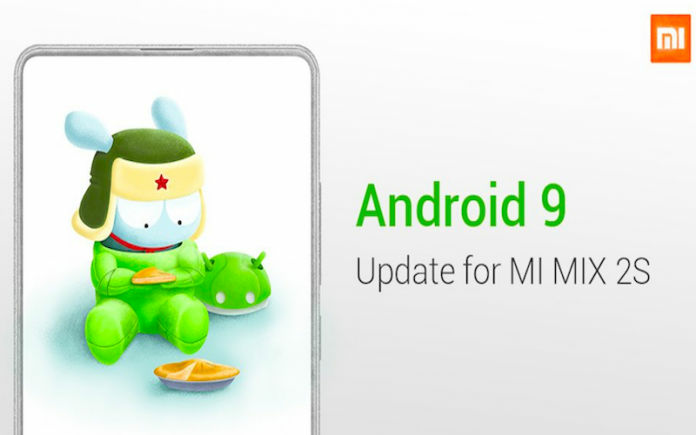 This makes the MIX 2S the first phone from Xiaomi’s stable to receive the Global Stable version of the MIUI 10 update which is based on Android 9 Pie. On the other hand. the string of ongoing MIUI 10 updates such as the one we saw on the Redmi Note 5 Pro in India, were based on Android 8.1 Oreo. Ever since Google unveiled the Android 9 Pie update, Xiaomi has been testing its own skin based on the OS with the Mi MIX 2S. 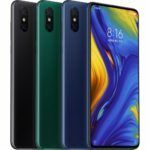 The Mi MIX 2S is the third device in the MIX series of Mi phones, followed by the Mi MIX and Mi MIX 2 (Review), and to be succeeded soon by the highly-anticipated Mi MIX 3. The new MIUI 10 update for the Mi MIX 2S carries the build number 10.0.3.0, and it comes within a month of the public beta release of the MIUI 10 for the same device, which had the build number 8.9.7. 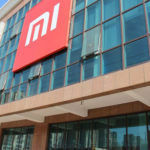 There is no word on the changelog as the announcement has not been made on the official Mi Forum yet, but we can safely presume that the new skin comes with all the key features we saw in the MIUI 10 as well as the Android 9 Pie. 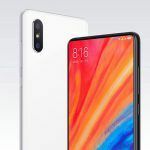 The Android Pie is a major upgrade to the Android Oreo, which we saw on most phones that were released in 2018, and the MIUI 10 comes as a great improvement over the MIUI 9 skin by Xiaomi, which, similarly, was seen on most handsets released by the company this year. For about another year, we are likely to have many more Mi devices flaunting the MIUI 10 based on Android 9 Pie, and also a whole range of stock Android devices booting the Android 9 Pie operating system. 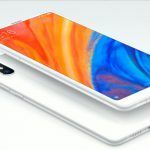 The MIUI 10 software made headlines after the arrival of the Android 9 Pie, and it came as a significant improvement over MIUI 9, which itself was a decent operating system based on Android Oreo. MIUI 10, like Android 9 Pie on new Pixel phones, integrates full-screen swipe gestures, where the three good old navigation buttons so long seen on Android phones have been replaced by a single home button and screen swipe gestures. This freed up more space on the screen and was quite well received by Android enthusiasts. MIUI 10 also introduces two features with ambient sounds. In one of these, you can run a timer with nature-based soothing sounds to help you unwind, and in the other default setting feature, you can enjoy nature-based ambient sounds such as the sound of water droplets for every notification you receive, with the sounds changing for new notifications. Among the key changes that the Android 9 Pie introduced, which helps you keep track of which apps you use most and when, and a related Wind Down feature that grays down the screen to help you close your eyes sooner when in bed.